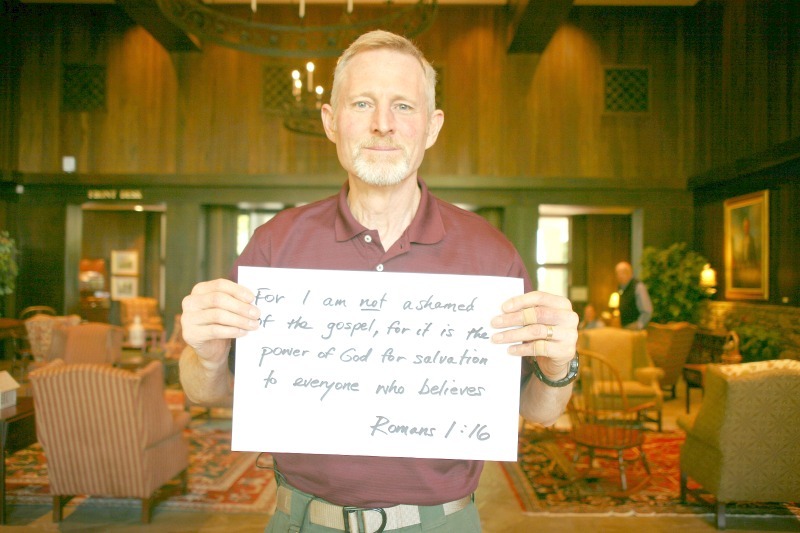 This week’s verse is brought to you by Will Graham, our Executive Director at The Cove. 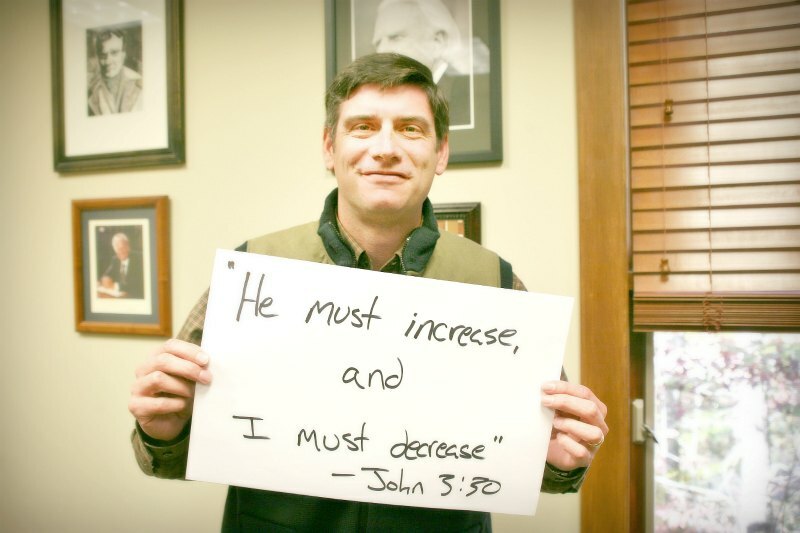 His verse is John 3:30. Join Will Graham at The Cove for his seminar titled, God’s Will is No Secret, on August 11-13. This week’s verse is brought to you by Susie, a Training Center hostess here at The Cove. Her verse is 1 Peter 5:7. This week’s verse is brought to you by Abby, a Safety Associate here at The Cove. Her verse is Psalm 37:5. This week’s verse is brought to you by Michael, senior pastor from Sherwood Baptist Church in Albany, GA. His verse is 2 Corinthians 4:5. 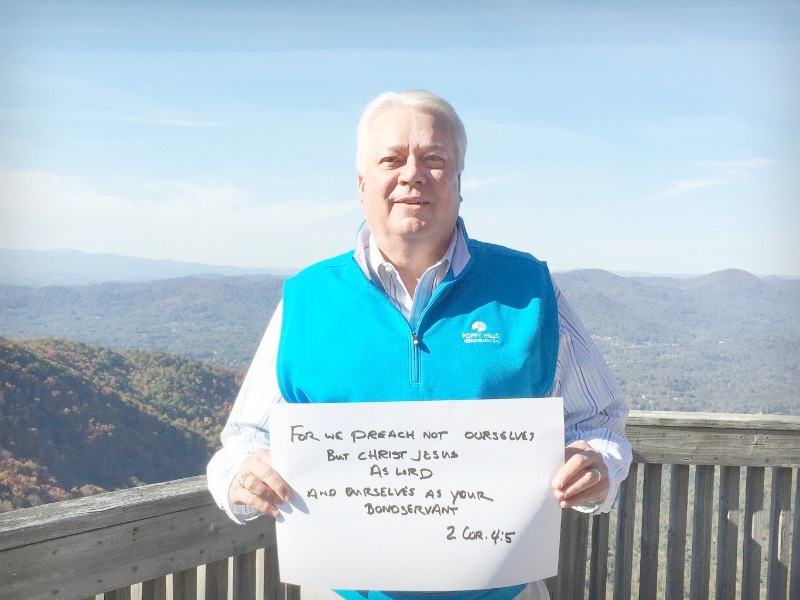 This week’s verse is brought to you by Mike, who works in Facilities Support here at The Cove. His verse is Romans 1:16. 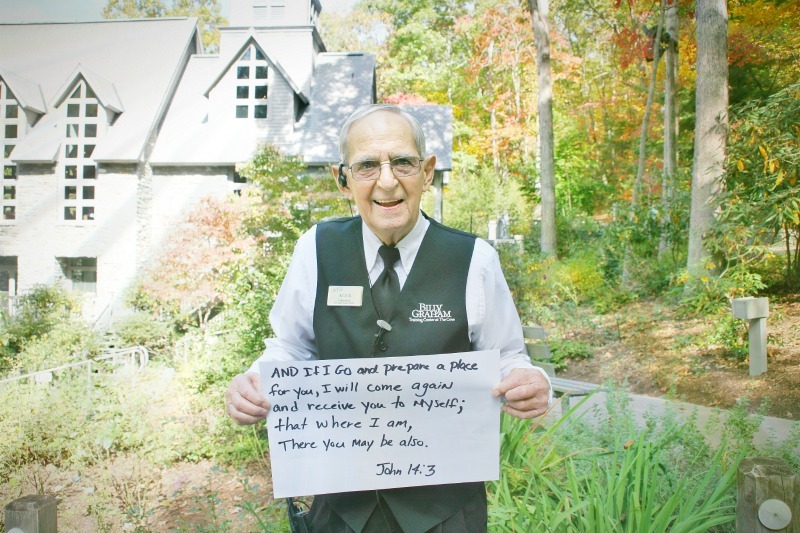 This week’s verse is brought to you by Jim, a seminar guest here at The Cove. 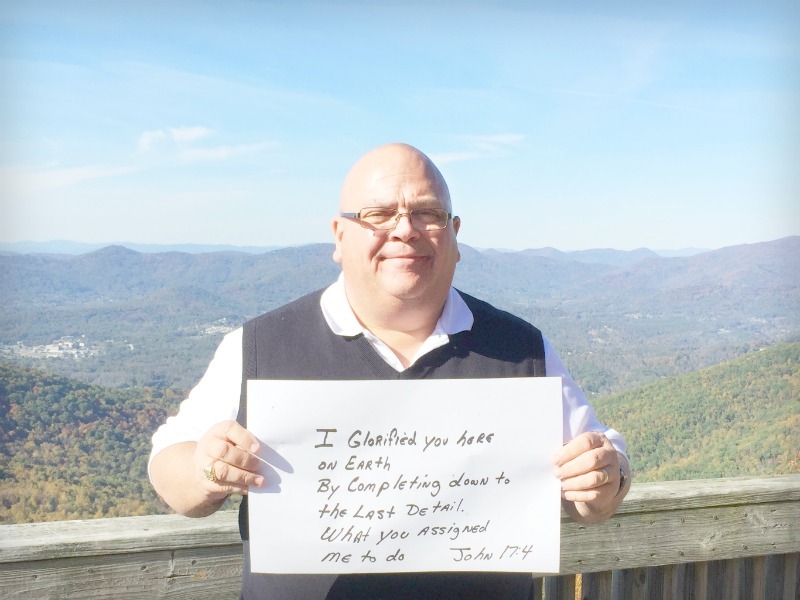 His verse is John 17:4. This week’s verse is brought to you by Ernie, the Senior Network Engineer here at The Cove. 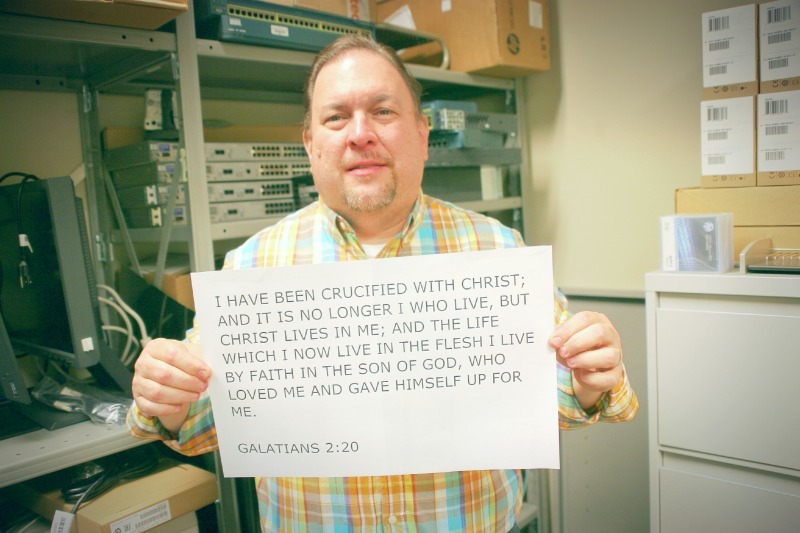 His verse is Galatians 2:20. 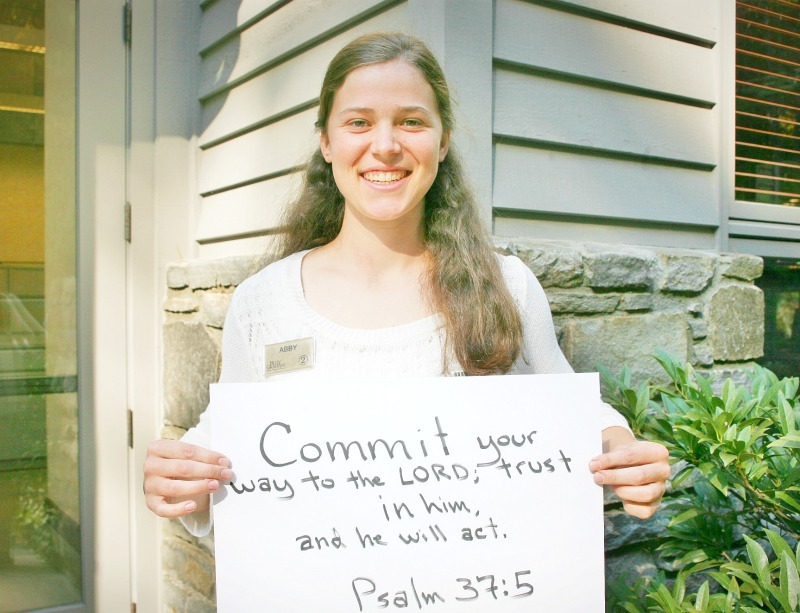 This week’s verse is brought to you by Alex, a chapel volunteer here at The Cove. His verse is John 14:3. 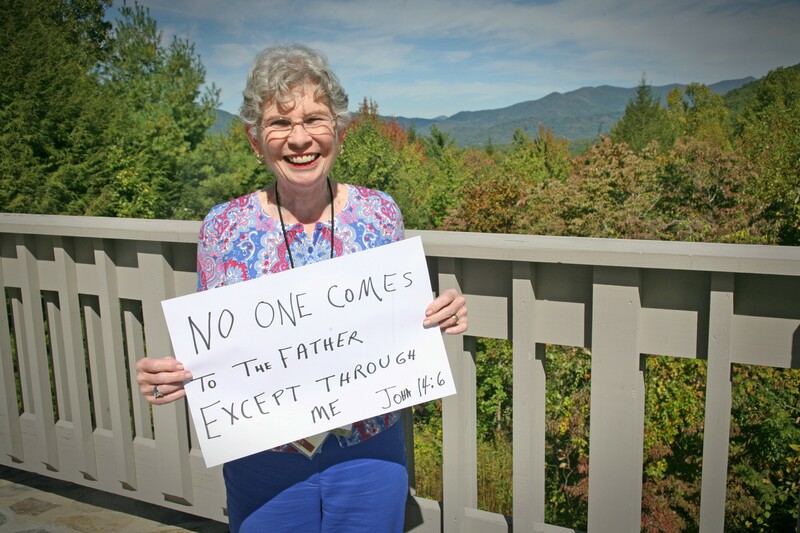 This week’s verse is brought to you by Paula, a guest here at The Cove. Her verse is John 14:6. Welcome to Kendra Graham’s Online Bible Study! This is a place where we can come together and share in our journey towards Scriptural truths and spiritual maturity. We pray this will be a safe, respectful, resourceful place to come and discuss God’s Word…to discover What it says…What it means…and What it means to you! Make sure you don’t miss a post, just enter your email in the “Subscribe Via Email” box in the upper left hand corner of our blog. It’s free and you’ll receive these posts straight into your email inbox. He said the third time, “Simon, do you love Me?”. Peter grieved because He said the third time, and he said, “Lord, you know all things, You know I love You.” Jesus: tend my sheep. We all fail. We have things that we have spent a lifetime hiding in the deepest, darkest places of our souls. As Christians, why do we hide these things away? I hide them away because I know what a huge disappointment I have been to my Savior. I have shamed His name, denied His power, and I want that as far removed from my life as possible. BUT GOD…. don’t you love those two words? BUT GOD, loves us enough not to leave our failures in the depths of the dark… but Jesus, who is the light of the world goes into the deepest darkest places and casts His light there… why? To shame us? Do we not already feel enough shame about that already? I mean, seriously, we are about to burst asunder with shame… No, the Light of Jesus is not to shame and demean us further or demand repentance, or force a promise never to do it again. Jesus’ desire is to heal us, redeem us, #deliver us and propel us to His calling and purpose. Jesus knew Peter would never embrace what he was called to do if this situation was not dealt with once and for all. Peter had denied Jesus three times the night of Jesus’s betrayal and death. Peter who brazenly said in John 13;37, “… I will lay down my life for You” yet mere moments later, his lips vehemently denied the One he claimed to agape love. This is hard. This is something we can all relate to. We have actions and words said in our lives that have vehemently denied Christ, and we wish we could erase them. Since we can’t erase them, we leave them in the dark. BUT GOD…. ahhh,… Now that Peter is broken over his inability to agape, NOW Jesus in HIS GRACE reveals to Peter that in his weakness…in his failure…and in his brokenness he can now be given a high calling!!! “Feed my lambs.” It is not until we are broken in pieces and humble that those pieces can be food for the most precious commodity on God’s heart, which are His lambs. It’s in our weakness that He is strong. It’s in the bringing to the surface, that which was hidden in the dark for so long, that we experience true redemption and grace and then can speak of it for others. It was the love of Jesus that broke Peter, not the justice of an angry God that demands payment for sin. The love of God is stronger than the justice of God… I battled over that statement. Here, at Easter time… it was God’s justice and holiness that required the cross, but it was the love of God–in Jesus, who endured the cross, despising the shame (Hebrews 12:2) that satisfied the demand for our sin. God’s love for us is greater than His desire to punish us. We see that here in John 21. Jesus is not wanting to shame Peter, but allowed Peter’s wounds so that He could heal Peter and propel Peter to his calling. Peter had to descend step by step down the ladder of humility so that he could rise to his purpose. Humility not humiliation… Jesus humbles… our own pride humiliates. We usually refuse both. This Easter, at the cross, where the love of God trumps the wrath of God, where justice and mercy are perfectly met in completion, will you allow the Light of the world to bring to the surface that denial, that action, those words, so that you can be more than forgiven, you can be redeemed, restored and propelled? You have a high calling on your life! Let it all come to the surface! You are in the hands of a loving God. God crush our hearts by Your love this Easter! Peter did not hide his denial. Peter was restored publicly and since that moment, has encouraged billions of people to know about it, so that those same billions could see the tender love of the Good Shepherd. Peter is still feeding the sheep with his testimony which truly began with personal humility before a holy and loving Jesus… do you see that? He refused to keep his failure, restoration or redemption to himself, he gave it to Jesus to do with as He pleased. In our brokenness and humility, God can do whatever God wants to do with us and in that we become #propelled2purpose. This Easter, will you allow God to have His way with whatever He wants? Will you show Him your phileo love for Him as you give Him the right to use what He wants for His purpose? Is there something keeping you from that intimate relationship with Jesus that you were created to have? Will you, this Easter, open your heart and give Jesus open access? Lord, we can’t… we can’t do this. To allow You to use things that humble us is HARD… it’s soul hard! We spend a lifetime on reputation and image, but God, You made Yourself of no reputation and took on the form of a servant (Phil 2:7). Lord, give me the strength to be humble so that You can propel me to Your purpose– not my own. What Scripture are you studying now? What have you learned? 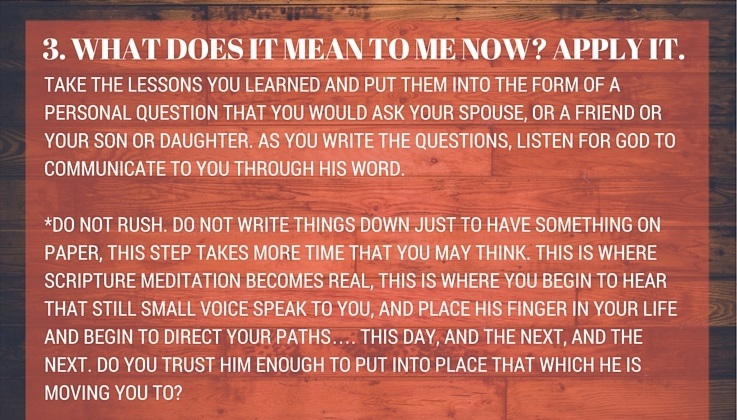 How has the Lord spoke to you? Share with us in the comments section.